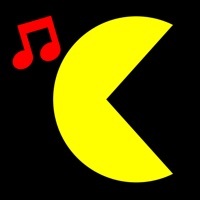 The icon has a sound symbol. They all has no sound. The description says the app eats the text. Only 1 stickers does that (well, makes it look like it) the others just hold still. 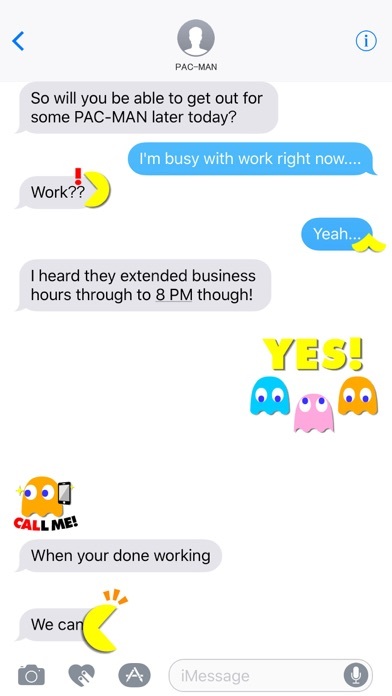 I love texting my Parents and My friends with this Emoji set Cause I love Pac Man so yeah Thanks! 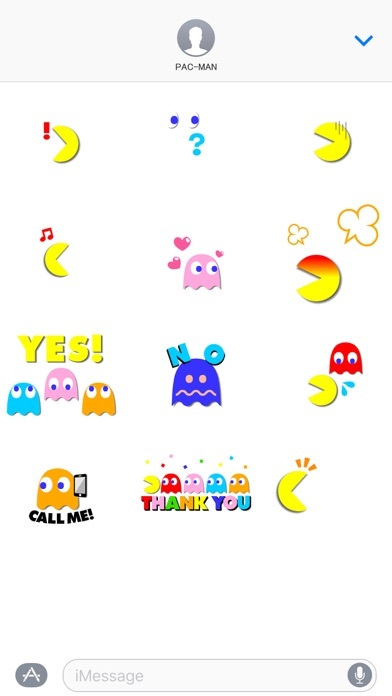 A really cute set of PAC man themed stickers! Really like them! Cute way to fun up your imessage!